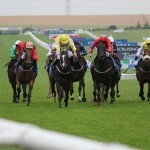 Flying Pursuit ran in the Class 2 Adnams Ease Up IPA Handicap at Newmarket on Saturday over 6 furlongs. Darryll Holland was aboard the Tim Easterby trained 3 year old gelding. Darryll reported that the starter caught him out with the gates a little, having signaled for jockeys to take hoods off, but then pausing before opening the gates. 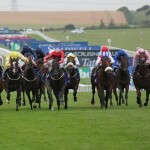 Having come from off the pace, the horse ran a cracker on unsuitably fast ground and he is eye-catchingly progressive. There are big sprint prize opportunities coming up at Ascot, Newmarket and Ripon in August for him. We are sure he will land a nice handicap at some stage. Sakhees Return ran in a highly competitive handicap at Ascot on the same say and finished a fantastic 3rd under Emily Easterby. Up with the pace throughout, he looked to have every chance in the closing stages and battled on gamely to finish in 3rd place, a fantastic performance from horse and jockey. It’s good to have the old Sakhees back. His turn isn’t far away. Seduce Me ran in the Princess Margaret stakes at the same track. Having hosed up in her maiden, we decided to have a crack at a Group 3, she ran well enough and tried her heart out but was outpaced throughout. We will look for more races for her but may have to lower our sights for the time being. Yeeoow ran another belter at Pontefract on Sunday. He travelled well throughout but was caught a little wide on the bend. He showed his usual heart and battled on to finish in 4th place, his turn can’t be too far away. 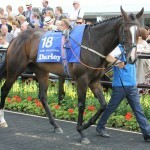 Baie Damour and Local artist both ran in auction stakes at Carlisle. Both fillies had less than ideal draws and disappointed on the day and are better than what they showed. Both are nice fillies who are sure to win races. 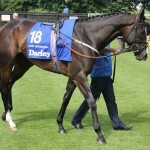 Dandy Highwayman had his second outing at a racecourse today when he lined up in the Racing UK Maiden Auction Stakes over 5 furlongs at Beverley. Jacob Butterfield who claims 3lb was aboard the Ollie Pears trained colt. Dandy had impressed on debut where he finished a smart second over the same distance at Musselburgh just a couple of weeks ago. From the stalls, Dandy bounced out well and after a furlong or so, Jacob was able to track across and take up the lead on the rail heading into the bend. At the 2 marker, Jacob asked Dandy to go on and he did. He showed some greenness late on and hung across to his left but still won a shade cosily. A very nice pillar to post performance from the son of Dandy Man. Well done to Jacob, Ollie and all connections. Quiet Reflection ran in the Group 1 July Cup on Saturday where Dougie Costello was aboard the Karl Burke trained 3 year old filly. Heading into the race, there were slight concerns that the ground may be a bit quick but Karl was happy to let her take her chance in this prestigious race. She was drawn in stall 9 for the 18th runner event and from the stalls Dougie took up a lovely position in the middle of the pack. As the race began to unfold, QR was travelling really well and she started to pass rivals heading into the latter stages of the race. At the furlong mark, the Henry Candy trained Limato shot a couple clear and wasn’t for catching, QR battled on showed a tremendous attitude and was just beaten into 3rd place, a fantastic effort from the filly, showing she is the best 6f 3-y-0 horse in the country on ground less than ideal. She will have a mini holiday now and will then prepare for the 6f Haydock Sprint Cup on Sept 3rd. 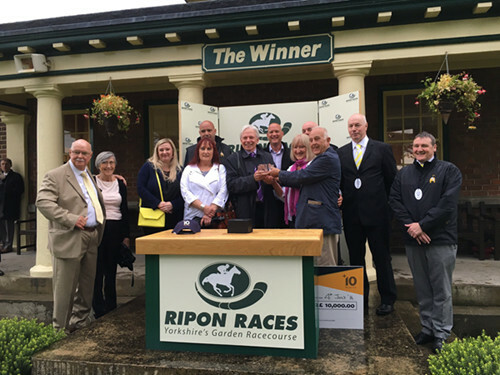 The Karl Burke trained Seduce Me and the John Quinn trained Local Artist both lined up in the Kirkgate Maiden Auction Fillies Plus 10 race last night at Ripon. Joey Haynes was aboard Seduce Me and Jason Hart took the mount on Local Artist. Both horses broke well from the stalls, Local Artist held the rail and Seduce Me was 2 off the rail in the early stages of the contest. At the half way point, both horses were travelling very well and in a share of the lead. At the 2 furlong pole Joey gave Seduce Me a shake of the reins and she went clear to win in very impressive style with Local Artist being caught late on for 3rd and finishing in 4th place. This was a very taking performance from Seduce Me, a daughter of Dutch Art and her owners can look forward to some good days out. Local Artist ran another very creditable race and her turn will come soon. 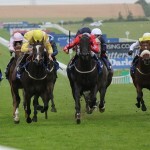 Ontoawinner had a good week with Yourartisonfire winning and a couple of Dandy Man offspring making excellent debuts. Check out a detailed race by race review below. Check the site tomorrow for entries for the week. 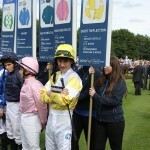 Monday saw Dandy Highwayman make his debut in the yellow and white colours when he went up to Musselburgh and ran in the five furlong seller and Jacob Butterfield rode. Dandy Highwayman was the only runner in the field without any racecourse experience and after jumping well from the stall Jacob tracked cross towards the rail. The two well fancied runners also came across and cut in front of DH and Jacob was forced to take a pull and with a horse on his outside giving him a slight bump DH got a fright and dropped back to last place and was a good six lengths off the lead. The horse showed some greenness and inexperience and Jacob had to get the horse concentrating again. Approaching the final furlong Jacob had got DH rolling and they began to make headway and with a wall of horse in front of them Jacob switched DH to the outside of the field and they began to make headway. Jacob gave DH a smack with the whip and he responded and set about closing in on the long-time leader. With the leader drifting into the centre of the track DH followed and although he tried hard to close at the line he had to settle for second place. A good effort on his debut against experienced rivals and without his greenness in the early stages of the race he would surely have gone close to winning. 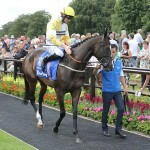 Suitcase N’Taxi ran at Catterick on Wednesday and David rode him in the six furlong novice race. Breaking well from the stalls from their middle draw David settled the horse in midfield and down the back straight the horse got a bump and appeared to jump the path and became unbalanced for a few strides. Rounding the sharp turn the horse was a few lengths off the speed being set and David had to niggle him along for a few strides. Into the home straight the favourite and a horse that had run with credit at Royal Ascot kicked for home and David sent Suitcase N’Taxi after him. David gave the horse a smack with his whip and tried to close the gap but the winner had first run and had the race won. 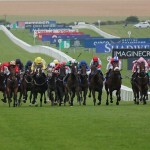 Inside the final furlong another horse stayed on past him but Suitcase N’ Taxi ran on well to finish in third place. Another pleasing effort and another step forward against a decent rival. 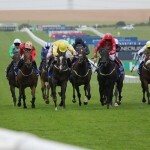 Thursday saw Carbutts Ridge run at Newbury in the one mile handicap and Ben Curtis rode. CR was carrying a penalty after his win at Nottingham and this was a slightly stronger race. The ground wasn’t as soft as at Nottingham and from the off Ben was keen to get CR into a prominent position tracking the early leader. Just over two furlongs from home Ben began to get at CR to move him closer to the leader but his effort couldn’t get CR to the front like he did previously and a furlong from the finish two horses went clear and CR was left to try and battle it out for third place. Inside the final furlong CR stayed on at the same pace and had to settle for fifth place. A fair effort form the horse returning to the track quickly after his recent win on ground that he would have liked to have been softer. Friday saw us have two runners at Doncaster. 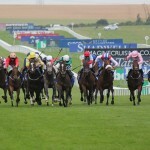 First up was Sakhee’s Return who ran in the seven furlong classfied race and Duran Fentiman rode. On ground softer than he prefers it was always going to be difficult for the horse on his reappearance after a minor setback earlier in the season. Duran got SR out well in front and they set a sedate pace. Hitting the two furlong from home marker Duran tried to quicken the pace and had a few of his rivals in trouble and at the furlong from home marker there were four horses in a line including SR. Inside the final furlong his lack of fitness began to take its toll and with no more to give Duran pushed him out hands and heels to the line and they finished in fifth place. A satisfactory first run and the horse will come on a lot for this on ground that was too soft. Yourartisonfire was next up in the one mile claimer and Jordan Vaughan rode. From the off Jordan got YAIOF tracking the early leaders in around fourth position. Around three furlongs from home the horse had dropped to fifth place as the pace quickened and Jordan had to get to work on YAUOF as a nice gap opened Jordan pushed the horse through it and he began to close on the leader. Just outside the final furlong marker Jordan pushed the horse forward and they took up the running and they quickly went two lengths clear and inside the final furlong with the race won and in safe keeping Jordan kept the horse up to his work to recorded a nice victory on possibly his last appearance in the yellow and white colours due to his sales entry at the end of the month. 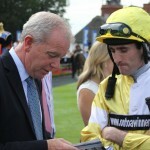 He’s been a grand servant who has his quirks but has recorded six wins and a victory every season. He will be bought back in if not making respectable money. With five runners on Saturday London Protocol kicked us off at Sandown in the seven furlong handicap and Clifford Lee rode. Jumping out of the gates well Clifford allowed another runner to take up the running and he allowed LP to track this horse. Two furlongs from home Clifford allowed LP to stride forward and they contested the lead and with many of their rivals in behind pushing away LP was in with every chance of a win. Inside the final furlong LP just edged ahead but a challenger from the pack then appeared and went past him. LP kept going inside the final fifty yards and was just past for second place by the long-time leader and he had to settle for third place. It was another solid effort from this consistent horse. 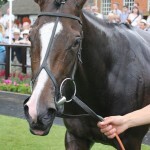 Next up was Our Charlie Brown over at Beverley when he ran in the seven furlong maiden and Jason Hart rode. Breaking from their wide draw Jason allowed Our Charlie Brown to drop in behind the early leaders towards the rear of midfield. Jason had to take a good grip of OCB who was keen in the early stages of the race. Rounding the sharp bend OCB was still travelling well as the field began the climb towards the finish. The leaders kicked off the front and OCB was caught for speed but inside the final furlong he really started to find his feet and was running on nicely at the finish and finished in the bunch of horses. He wasn’t beaten that far in the end and he is a horse that is learning race by race. 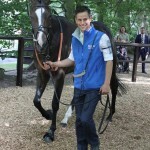 Elements Legacy went to Leicester and ran in the six furlong seller and Joey Haynes rode. Breaking well Joey settled Elements Legacy into third place tracking the early leader. EL was travelling well and at half way Joey moved the horse up and they were now contesting the lead. Two furlongs from home EL went into the lead as Joey began to ride him more aggression. Just over a furlong from home EL edged to his right as a horse came out of the pack to challenge and this horse went past EL and quickened clear by a good couple of lengths. To his credit EL kept on for Joey’s drive and he looked to be holding on for second place when right on the line he was joined and in the phot EL had to settle for third place. It was another step forward from EL and this was easily his best run to date, he is progressive. Quiet Moment made her debut in the yellow and white colours when she went to Nottingham to run in the five furlong maiden and Joey Haynes rode. Ben walked the course beforehand as the ground was described as soft which is never ideal for a newcomer but Ben was happy to let her take her chance. From the off drawn on the outside of the field QM ducked to her left slightly but she was soon brought over by Joey and tucked into six position as the pace being set was a good one by some of her experience rivals, Joey was having to keep QM focused as a little greenness showed on her first day at school. With just over two furlong to go QM began to make progress on the outside of the field and inside the final furlong the penny started to drop and Joey without being hard drove her hands and heels towards the horses ahead. Inside the final fifty yards QM was now staying on past rivals and at the line grabbed second place beaten only a length by a much more experienced rival. A fantastic first effort from QM on very soft ground and she is one to look forward to. 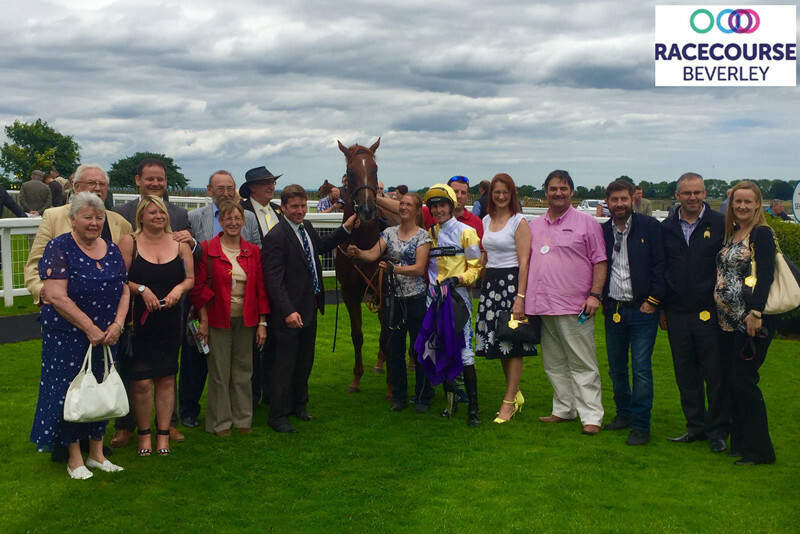 Our last runner of the week was Vaux at Carlisle and Jordan Vaughan rode in the five furlong novice. There was some doubt whether Vaux would run due to the heavy rain due in the area but come race time Carlisle had missed most of the showers and Vaux was allowed to take his chance. Vaux had done extra stalls work but again he slightly missed the break and found himself at the rear of the field trapped against the rail. Moving round the turn into the straight Vaux made headway into fifth place and Jordan began to angle Vaux out to get a run. After a slight bump Jordan got to work on the horse but with a couple of horses going clear Vaux could not respond as was going up and down rather than forward and inside the final furlong stayed on at the same pace and finished in midfield. Jordan came back in and stated the ground was softer than described and the horse hated it.